David Friese is hosting a Rotary Get Together at his house. 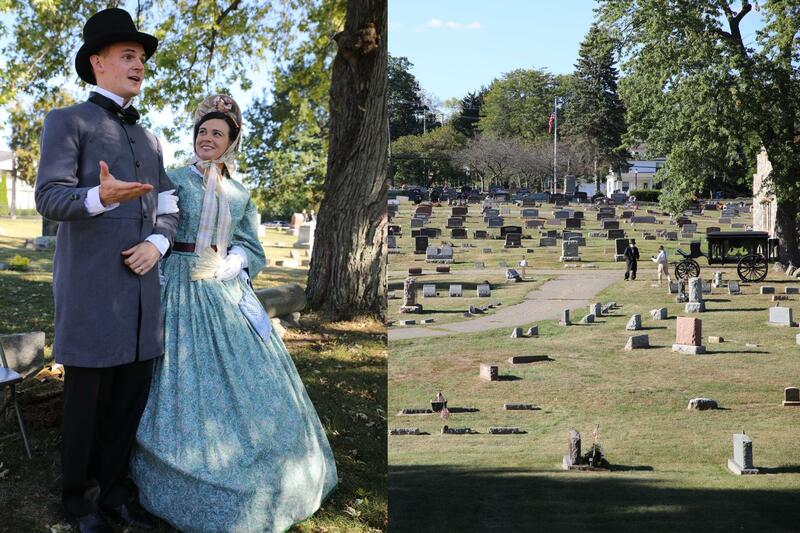 290 W Bemis Rd., Saline on Saturday, September 14 starting at 6:30pm. 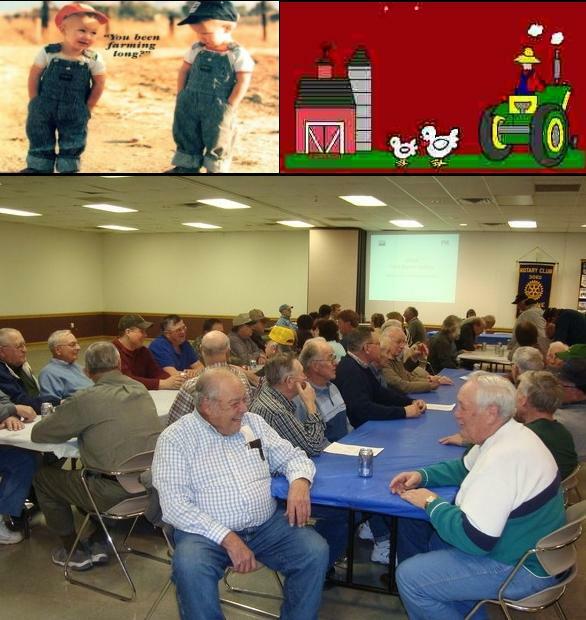 Come out and enjoy some good old Rotary fellowship and swap stories with others in the Club. RSVP ASAP so Dave & Diane can know how many to expect. 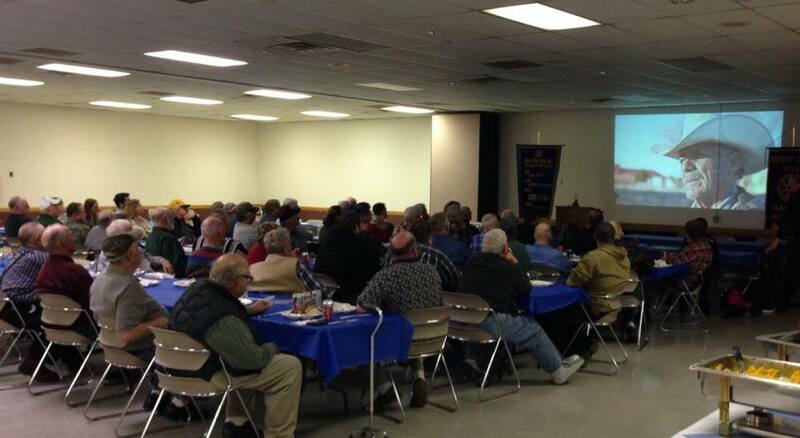 Area farmers come together for fellowship and information. Jill Durnen, Past President, (left) conducted the induction ceremony to bring Tiffany Sims, (right) into the Rotary Club of Saline. 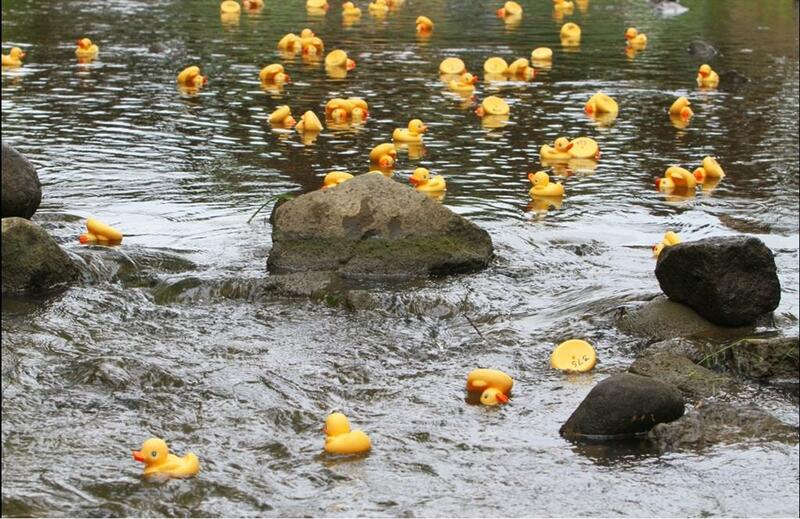 Tiffany works as an executive with The Boy Scouts of America in Ann Arbor. 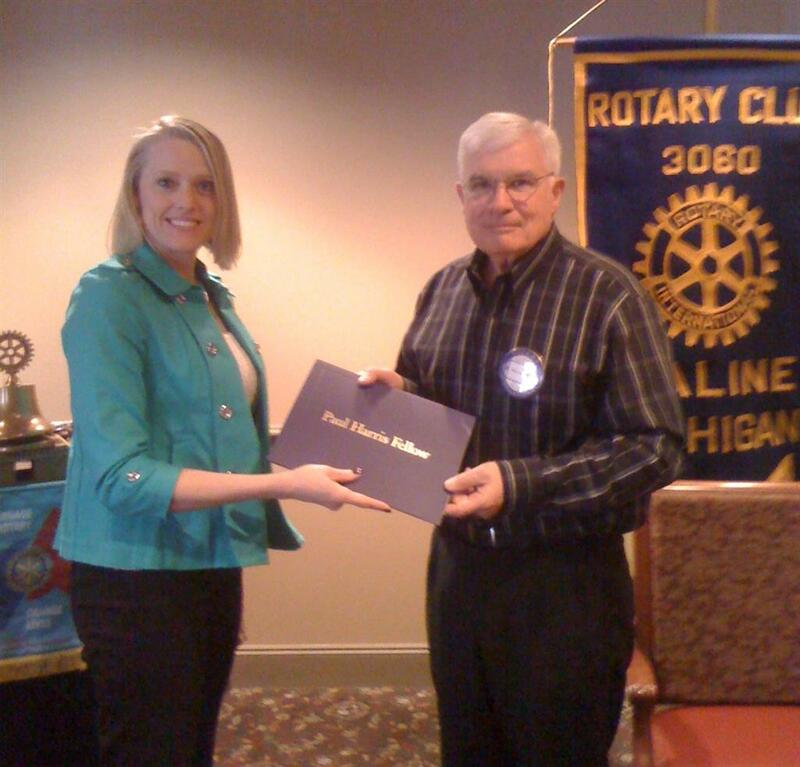 Please welcome Tiffany into the fellowship of the Rotary Club of Saline. is leading at Saline High School. Jack Fagin died the morning of Saturday March 30 th. 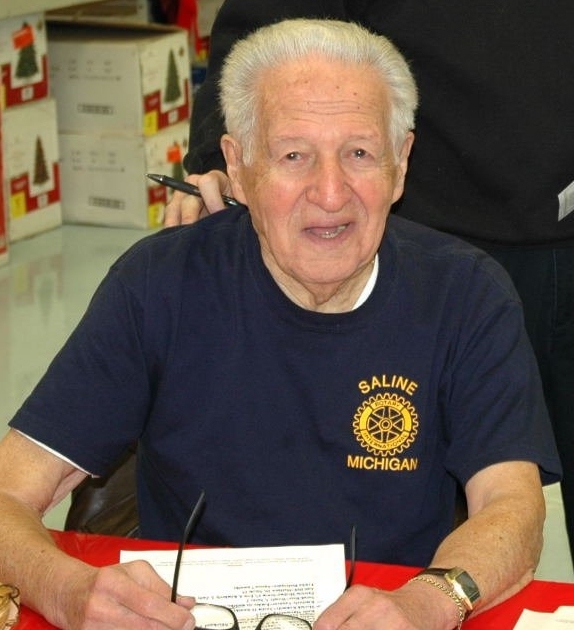 Sadly, Jack Fagin, long time member of The Rotary Club of Saline and founder of The Fagin Challenge which sponsors Christmas gift shopping for needy children, passed the morning of Saturday, March 30 th. Services were held at 12:30 pm Wednesday, April 3 rd at Beth Israel Synagogue, 2000 Washtenaw Ave, Ann Arbor. Jim Bohnett brought an interesting news paper clipping from 1952. It is part of his mothers collection. 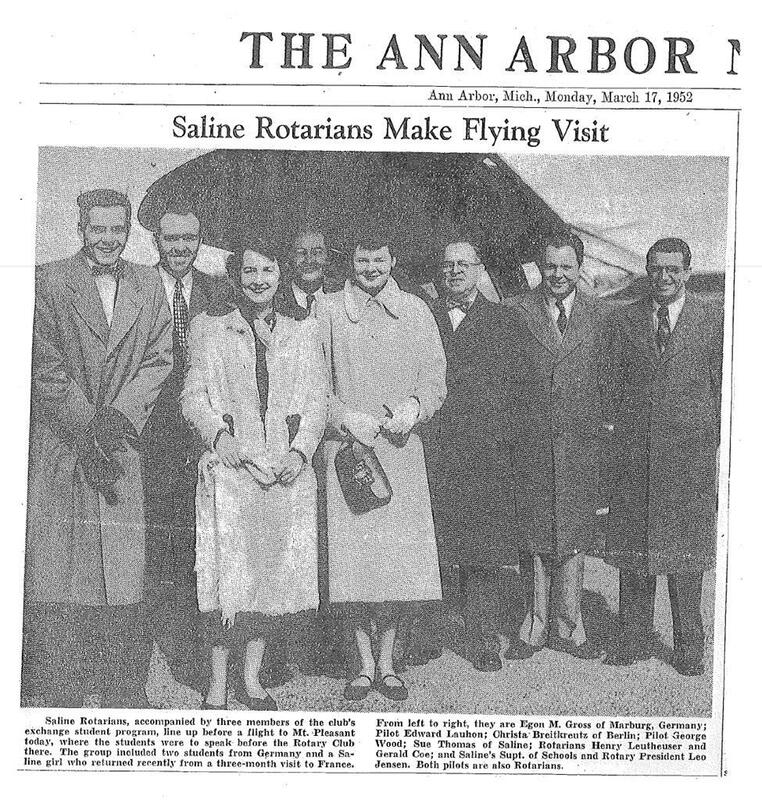 It shows a group of Saline Rotarians and exchange students who are about to fly in private planes to Mt. Pleasant where the exchange students are to present a program. Thanks Jim! 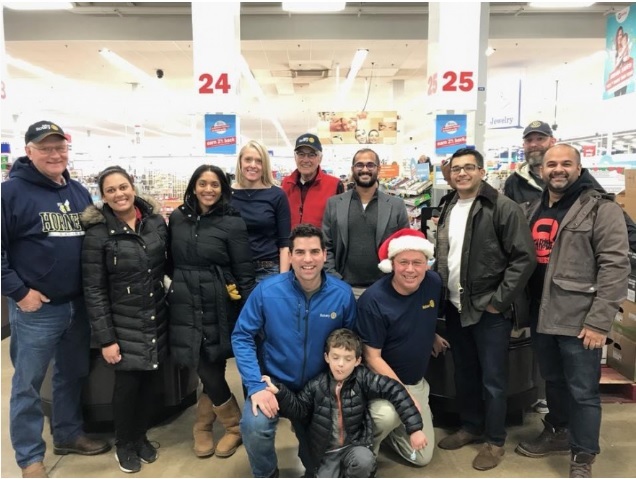 Members of the Rotary Club of Saline joined with the Kiwanis Club of Saline to help raise money to benefit the children of Saline. 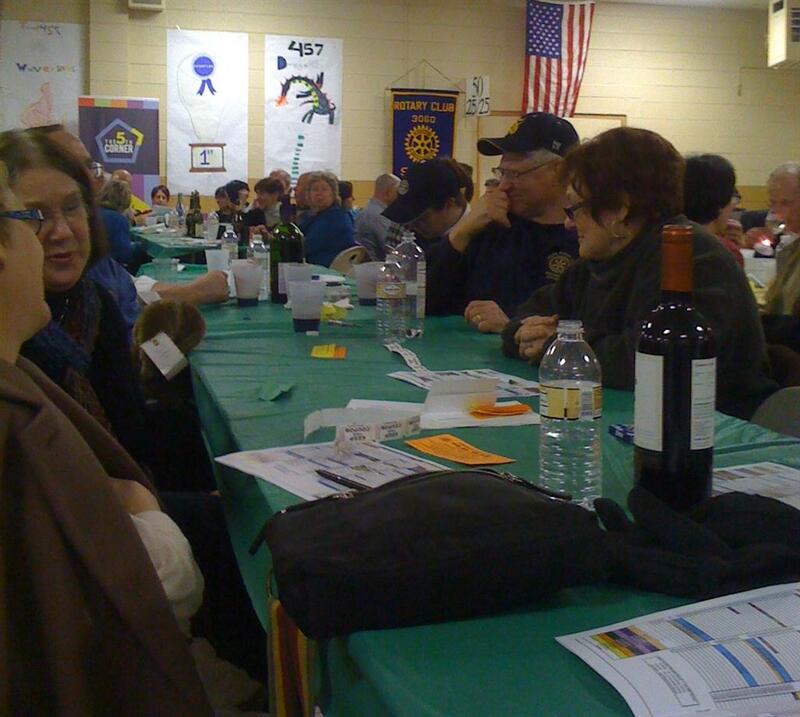 Rumor has it that a Rotarian name Luke (or something like that) went home with a winner. But, then it is said that everyone that attended went home winners just for having attended. 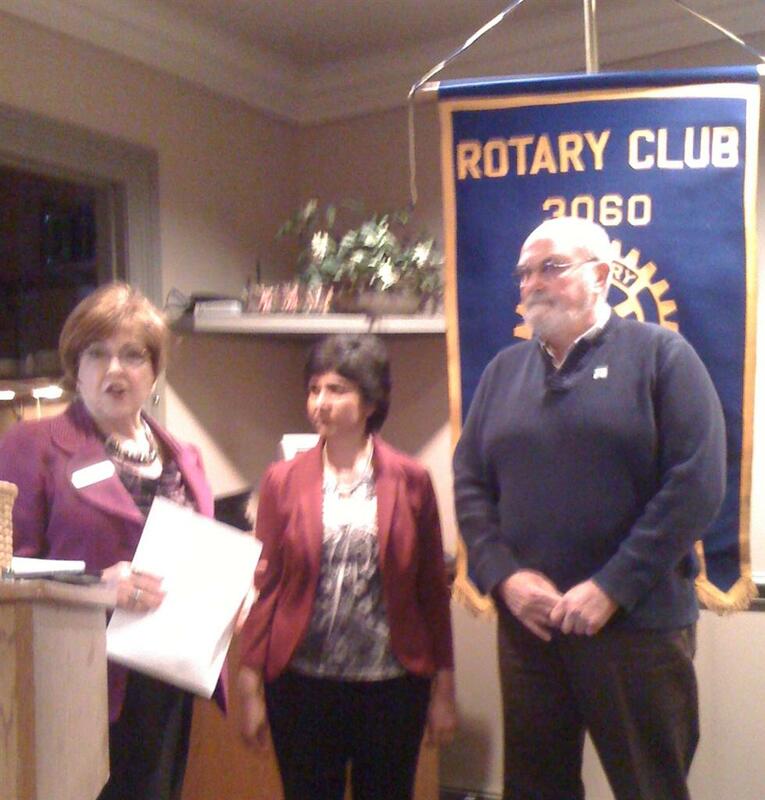 Dr Smita Nagpal joined the Rotary Club of Saline today. Here pictured with co-sponsors Ginger Winters and David Friese. 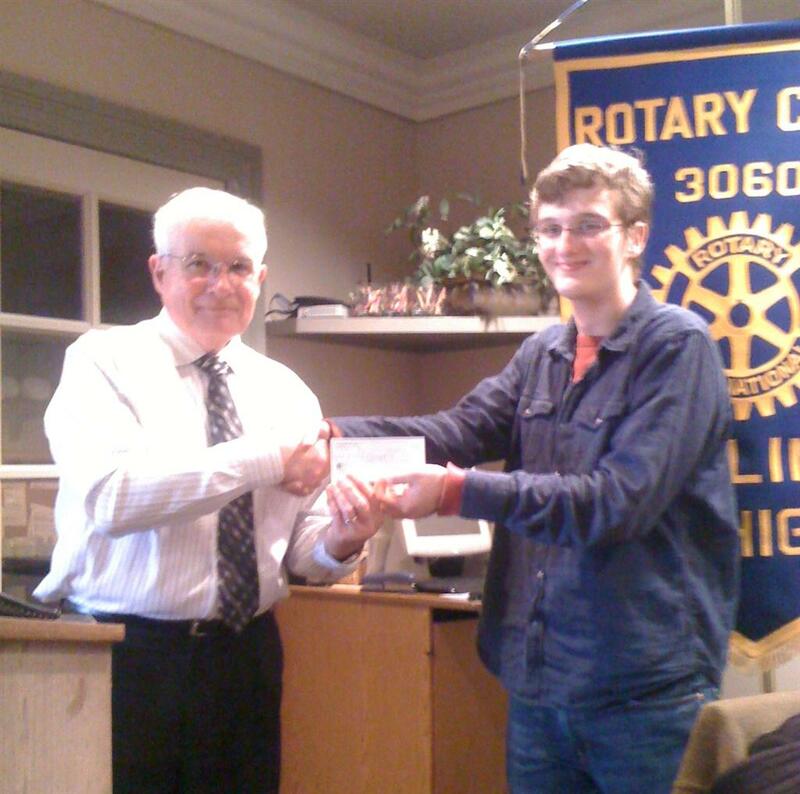 Ethan Savage, Troop Leader of Saline Boy Scout Troop 446 received a check for $950.00 from Rotary Club President Bob Comfort. 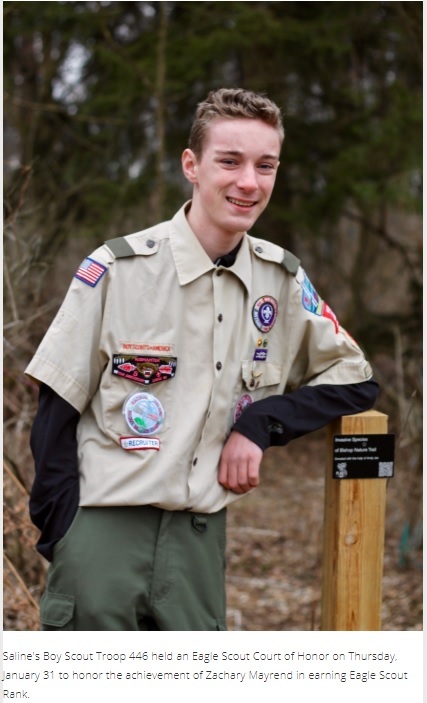 The money will got toward sponsoring scout activities for 2013. 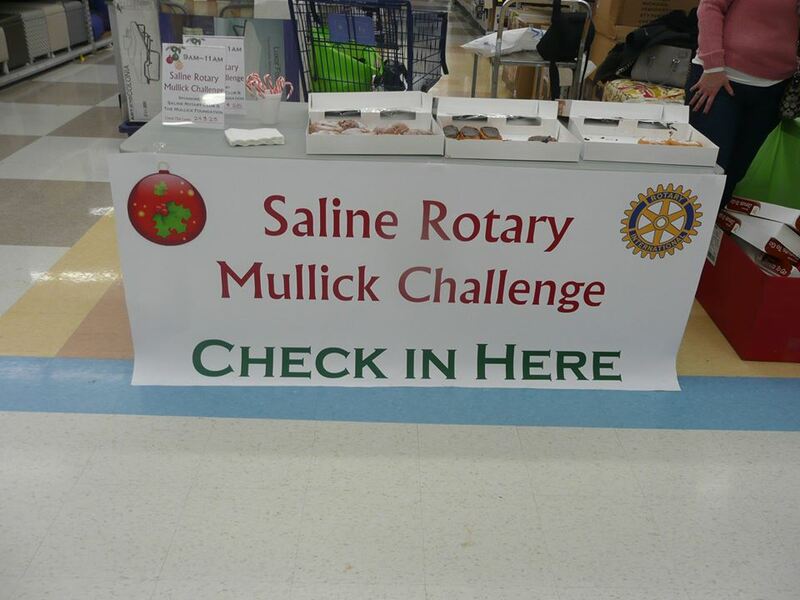 The Rotary Club of Saline is the Charter Sponsor for Troop 446. 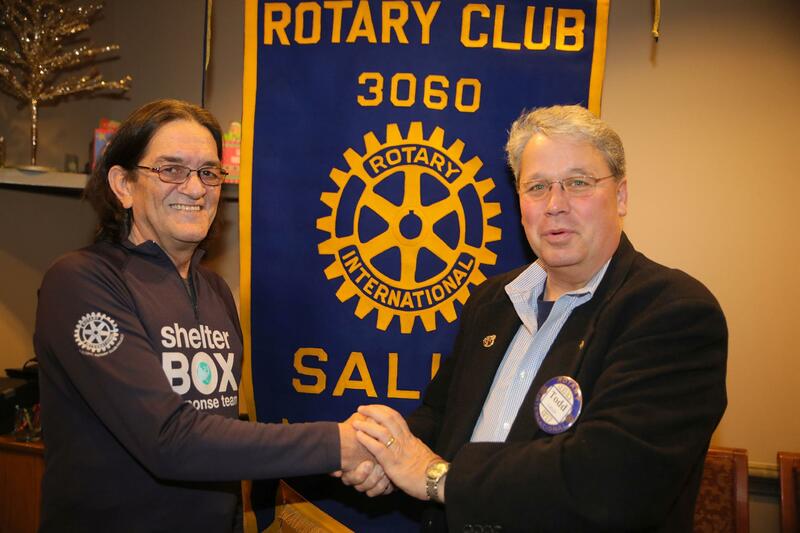 The Rotary Club of Saline inductes a new member. 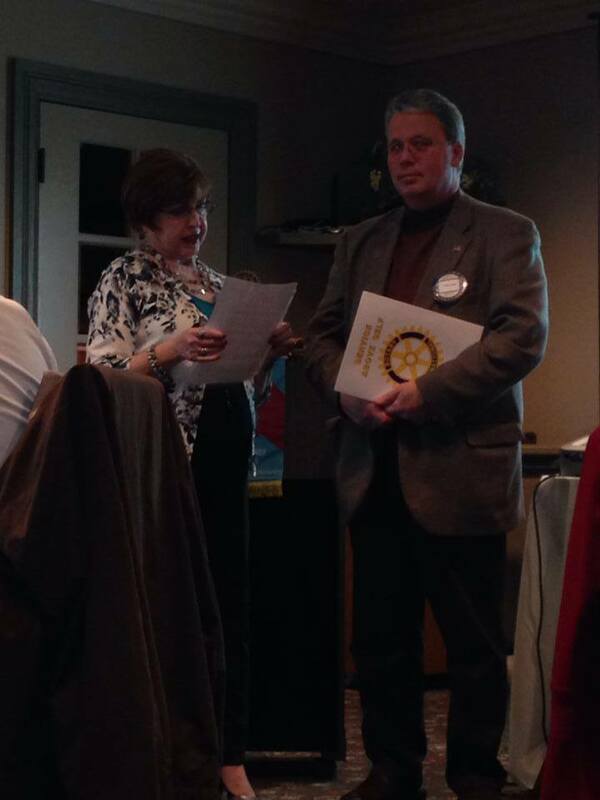 The Rotary Club of Saline inducted Mark Gieshaber into the club today. 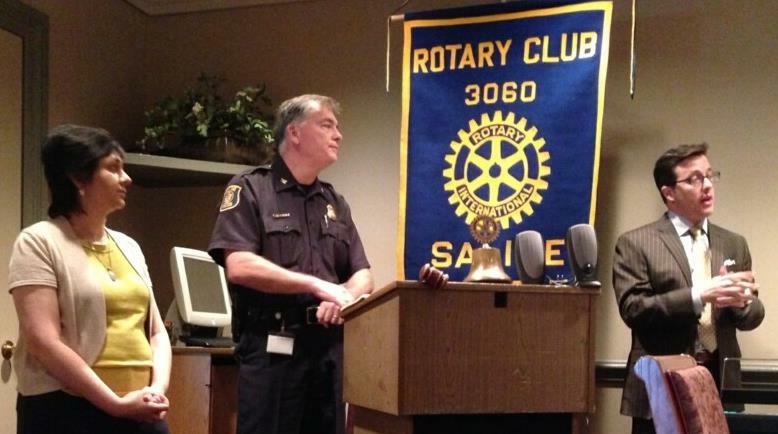 He will be offering his time and talents to the ideal of "Service Above Self" in Rotary. Mark was sponsored by Ginger Winter. 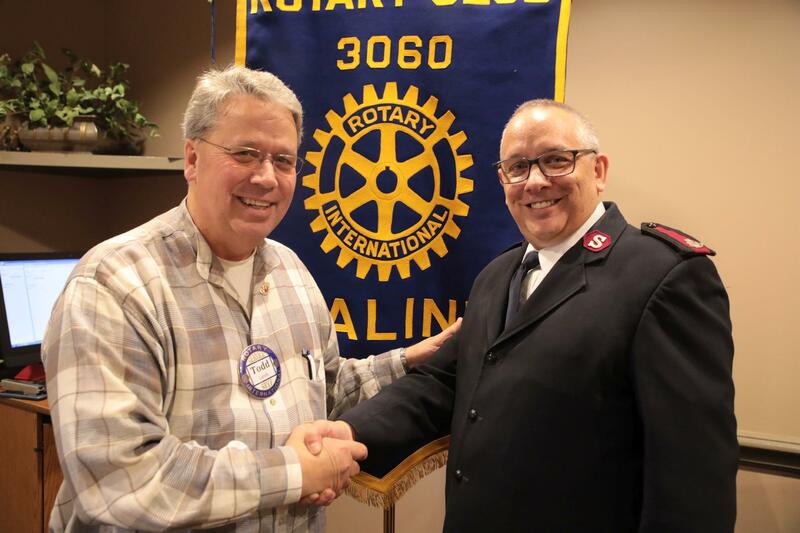 The Rotary Club of Saline inducts two new members. 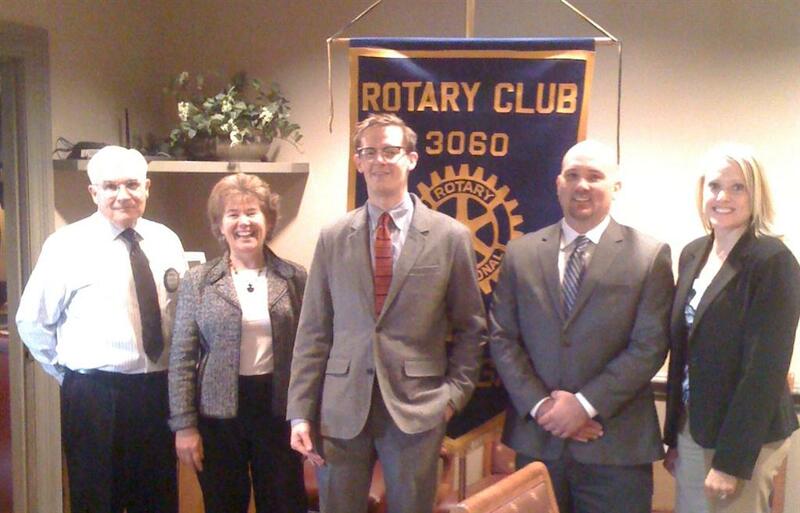 The Rotary Club of Saline inducted two new members into the club today. Luke Schmerberg and Jeff Hall both practice law in Saline. 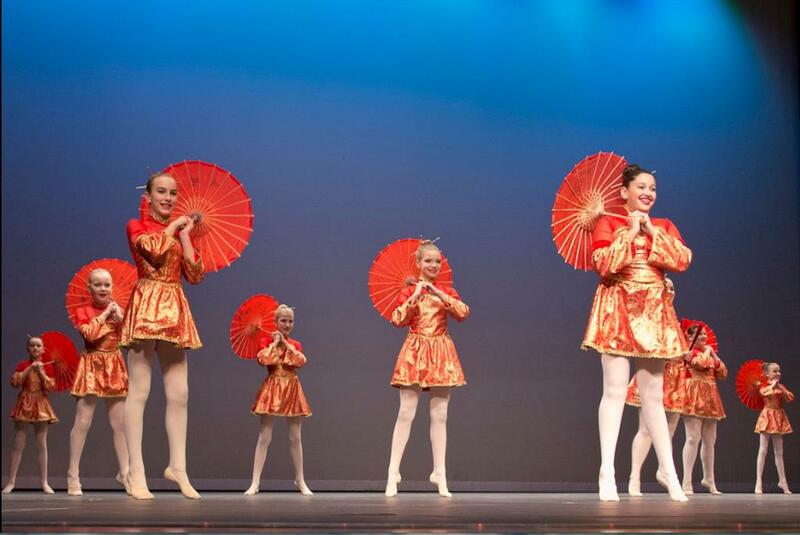 They will be offering their time and talents to the ideal of "Service Above Self" in Rotary. Jeff was sponsored by Jill Durnen. Luke was sponsored by Karen Ragland. Welcome to Jeff and Luke. 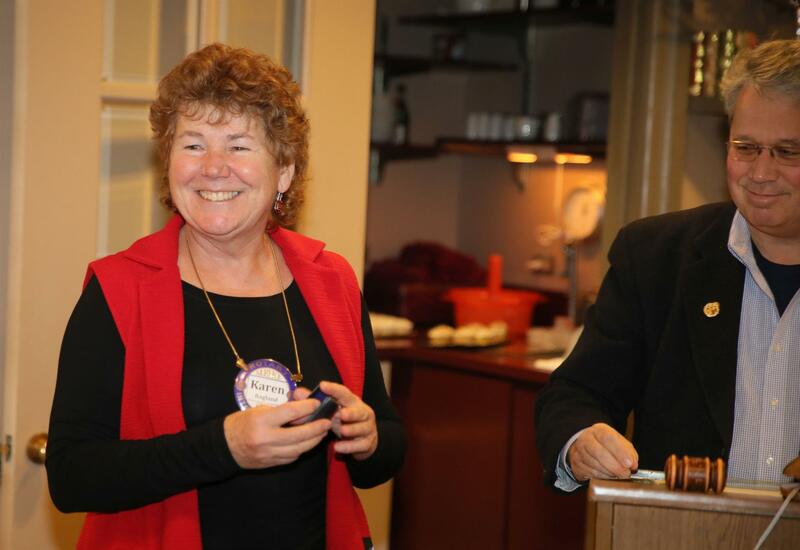 Do you carry Rotary to your vocation? 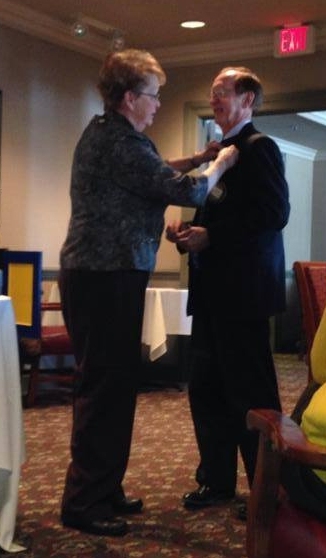 How about a simple way to do this...Do you wear your Rotary pin on your lapel EVERY DAY? Or just on Thursdays and at Rotary events? Think about it: we know you are a Rotarian so wearing it only at Rotary events is kind of redundant. 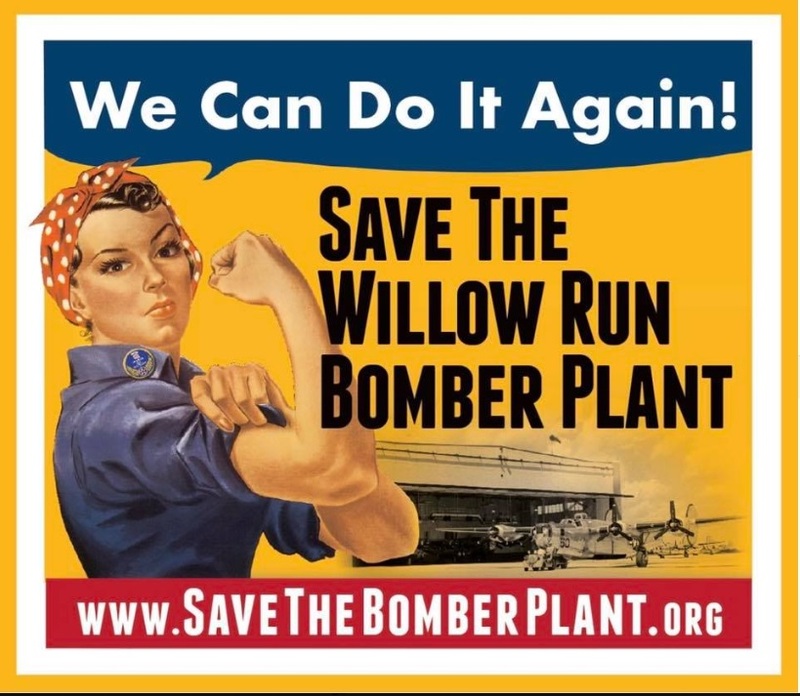 How about if we start wearing our pin every day and see if we can make it a habit. It is the cheapest and most effective PR we have. Be proud to be a Rotarian and take the opportunity to explain Rotary to those you come in contact with every day in your business dealings.